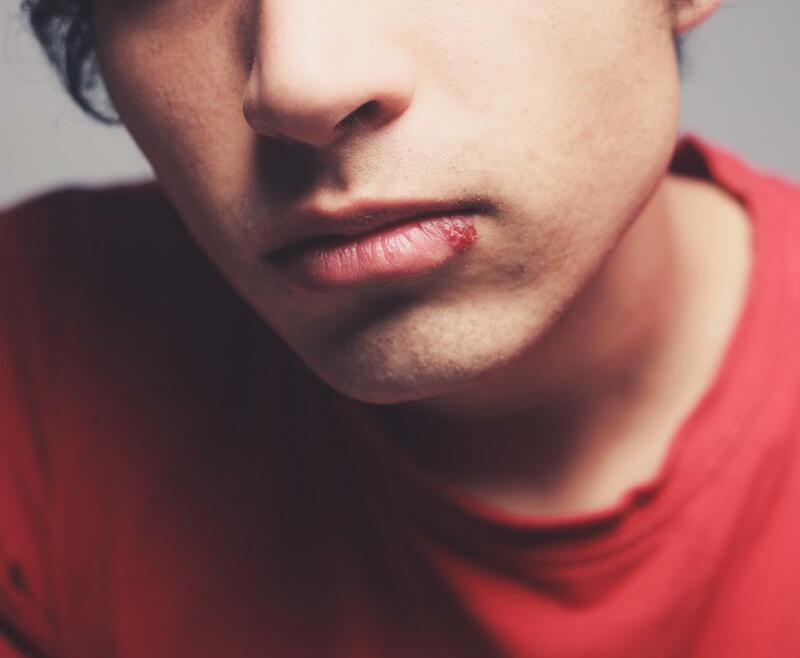 People with active cold sores should avoid lip injections. 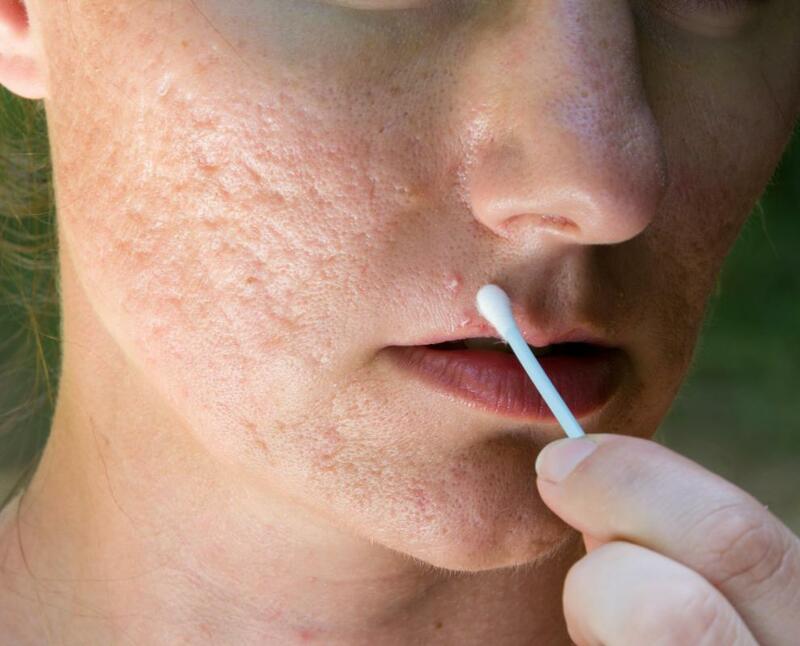 Collagen injections may be used to treat acne scars while current breakouts are managed with ointments. Collagen degradation occurs as individuals age, causing wrinkles. Dermalogen is a type of collagen filler that may last up to six months. 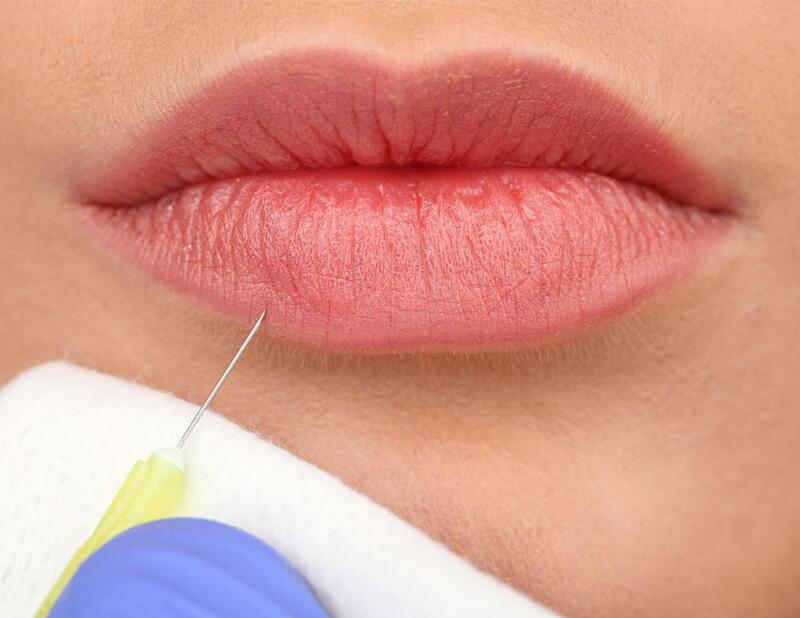 Collagen lip injections may last up to six months. Some bruising is to be expected following a lip injection procedure. As a person ages, his skin becomes damaged by the sun, causing it to sag and wrinkle. In order to look youthful and healthy, many people turn to collagen injections. These injections are routinely performed to soften lines and furrows on the face, plump up lips and remove depressions. How long results last depends upon the type of collagen injection treatment being performed. Zyderm® and Zyplast® are two types of bovine-based collagen fillers. These injectable fillers are used to treat fine lines and superficial scars. Bovine-based collagen injections typically last three months. When used on deeper lines and skin folds, results usually don’t last more than two months. Autologen is collagen filler made from a person’s own skin, usually obtained during past operations. 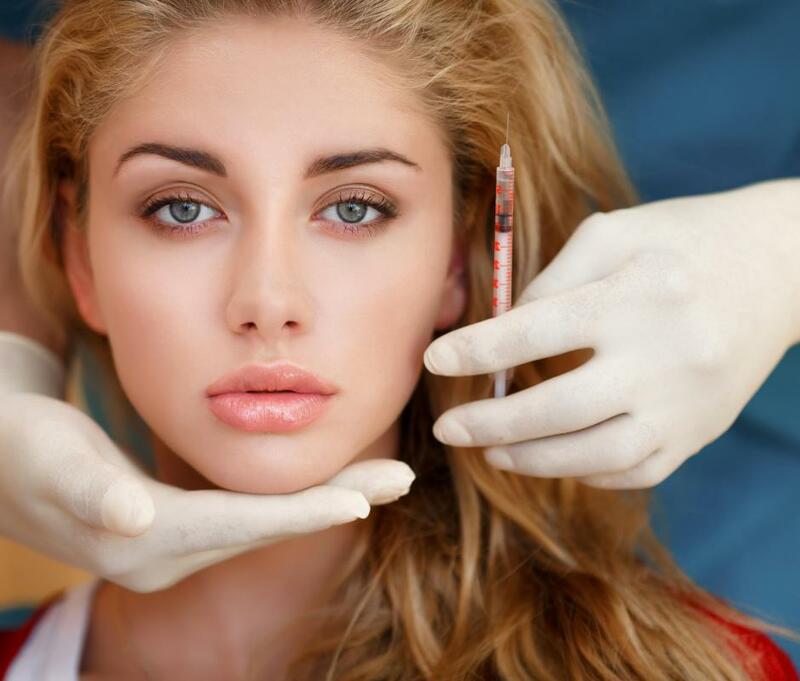 Collagen is extracted from the skin, then sterilized and liquefied to be re-injected into the patient. Autologen is used to treat deep wrinkles and folds such as those in the nasolabial area. Due to the fact that this is the patient’s own collagen, it is less likely to be reabsorbed by the body, meaning it can last for as long as nine months. Dermalogen is a type of collagen filler that is derived from deceased human donors. Collagen injections with dermalogen are used to treat nasolabial folds, frown and peri-oral lines, scars, and thinning lips. This type of injection is also human-derived, so it is not likely to be reabsorbed immediately. It can last up to six months. Isolagen is often used in the treatment of acne scars, deep wrinkles and thinning of the lips. 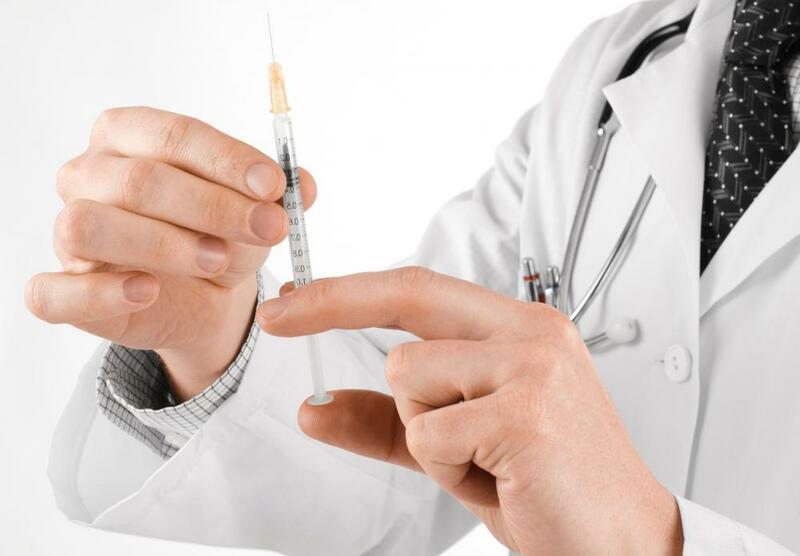 Isolagen injections also involve the use of the patient’s own skin. Collagen-making cells are obtained by removing a piece of skin from behind the patient’s ear and culturing it. The injection of collagen-making cells stimulates the patient’s own body to produce more collagen. This type of treatment is considered semi-permanent, since it can last as long as ten years. Longer results can be achieved with the use of hybrid collagen fillers such as Artefill®. These types of collagen injections involve a mixture of bovine collagen and small plastic spheres. When the bovine collagen breaks down over time, the plastic spheres maintain the results for an extended period of time while stimulating the body to produce more of its own collagen. Hybrid collagen fillers can provide results that last ten years of longer, depending upon the area being treated. What Is a Nasolabial Filler? What is a Collagen Dressing? How do I Choose the Best Collagen Filler? What are the Different Collagen Types? My friend got a collagen injection which lasted for six months. Her doctor told her that he hadn't seen anyone's injection last so long before. It was only supposed to last for 3-4 months maximum. Do you think that this is an exception or it depends on the person and their skin? I want to get collagen injections for my lips but I also think that 3 months is a short time for a collagen injection. 6 months is not so bad. I've also heard that if I get a collagen injection in the same place for 5 times, it will become permanent. Is this true? Or just a rumor? @ysmina-- Yep, many of them last about 3 months, despite the high cost of collagen injections. I've had collagen injections twice, for a deformity in my nose due to a car accident I had several years ago. They both lasted for three months and I basically spent all my saved up money on them. I've heard that there is a new kind of collagen injection now that has become popular in Europe. It's not available in the US yet but I've heard that this collagen injection lasts for 4-5 years. If it is made available in the US, I would like to have it done. At least it will be worth the money. I've heard about celebrities getting autologen injections before. For some reason, I though that this lasted for a lifetime. I'm actually surprised to know that most facial collagen injections last for a really short time- only a few months. I have also seen pictures of an international celebrity who had an allergic reaction to his collagen injections. I'm not sure which one he received, but I guess it wasn't isolagen or autologen. I don't think a person could be allergic to his own collagen right? Anyway, due to the allergy, he had developed immense swelling and edema in his face which had actually become permanent. He had to have surgery to drain out the liquid and the collagen to get his face back to normal. So long-term results with collagen injections is probably not desirable since it might actually be a result of an allergic reaction.